A graphical interface for viewing conventional and time-frequency reassignment spectrograms. 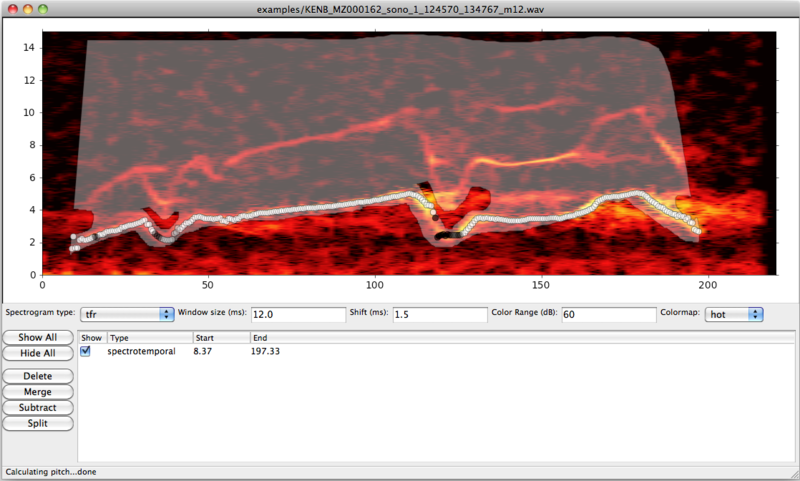 Select, play, and zoom in on sections of recordings; adjust spectrogram parameters interactively. An advanced signal processing algorithm for tracking the pitch (fundamental frequency) of tonal signals. Designed for use with noisy field recordings. A dynamic time-warping algorithm for quantitatively comparing the spectrograms and pitch traces of signals. Supports batch processing on multicore machines for large datasets.